The novelist Aldo Busi stated that he does not buy Mediterranean fish, for fear of consuming fish that in turn ate corpses of migrants from Libya, Somalia, Syria or Iraq. Busi is a famous Italian writer and, while not personally involved with the phenomenon of migrations in the Mediterranean, gave his opinion about migrants passing away while crossing the sea and the problems of accommodating refugees in Italy.The disturbing image of corpse-eating fishes is useful to describe a tragedy that is happening in the Mediterranean and involves thousand of women, men and children from Africa and the Middle East. “Mediterranean” comes from two Latin words, “Medium”—“middle”— and “terra”—“land”; the etymology of the name suggests the position of the sea in- between lands, at the time under the influence of the Ancient Roman Empire. Once a place of commerce and exchanges between different populations, the Mediterranean became a natural border between Africa and Europe. On the northern side, European citizens enjoy free circulation between the democratic countries that constitute the European Union; on the southern side, migrants often see the sea as an obstacle to overcome poverty, violence, war. The desperate quest for a better life in Europe transforms the Mediterranean into a terrible graveyard for people whose access to Europe is denied by natural and political boarders. edia talk about all these aspects of migrations, but they often focus on numbers rather than telling migrants’ stories. As a result, migrants seldom have media space to express the circumstances of their choices and the feelings that characterize the human condition. This de-humanization and lack of power – especially discursive power – allow superficial narrations that endorse certain political discourses, often involving religious values. In this post I briefly summarize some key points about migrations in the Mediterranean and I argue that a better media portray, achieved through the digital space and documentaries, would enable a deeper understanding of migrants, going beyond xenophobia and victimization. Media often present the number of migrants that die in the Mediterranean to give a sense of the enormity of the tragedy. The project “Border of Death” mapped the passing of 3,188 migrants in the Mediterranean from 1990 up to today. The precarious conditions of the boats, meteorological hazards and lack of food and water make the cross of the Mediterranean a tragic bet on human lives. The fact that people, including children and pregnant women, face such risks to seek for better conditions in other countries should concern the entire European Union; however, for obvious geographical reasons, Southern European countries such as Italy, Spain and Greece deal more often with migrants. The Italian economy is certainly not flourishing, but one may ask if the budget for “Mare Nostrum” was truly too burdensome for the country. Italy has recently allocated great expenses on the Expo World Fair in Milan, and Italy’s MPs are among the highest paid in Europe; a cut in such budgets could easily result in an increase of funding to help migrants rescue missions. Nonetheless, I suspect migrations are far from being only an economic problem. 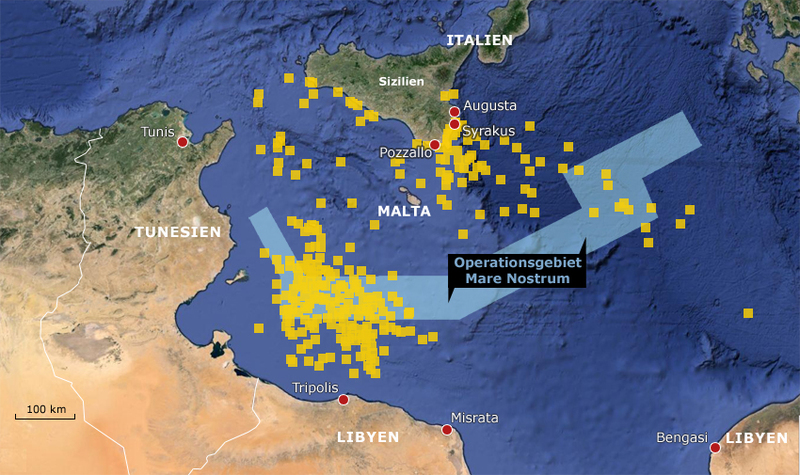 “Mare Nostrum” was substantially different from “Triton”: the former was aimed at saving people, while the latter only at patrolling the Italian coasts. The idea behind “Triton” was that Europe should not encourage illegal immigration. However, refusing to help migrants is no solution to a humanitarian problem, but rather an unwillingness to acknowledge it. Desperation and lack of information forced migrants to take to the sea even if the “Mare Nostrum” rescue mission has been discontinued. . “Nothing will ever prevent someone who has no other choice to leave his country”, commented journalist Pierre Jeni. This statement is exemplified by several boats sinking in the Mediterranean in April 2015, causing the death of 1,200 people; only after these tragedies did the European Union raise the budget of “Triton” and extended it beyond the Italian coasts, making it more similar to the previous “Mare Nostrum”. The political unwillingness to support migrations does not only concern rescue missions, but also accommodations for migrants that go ashore. As for the European law, migrants should ask for refugee status in the first country they approach (the so called Dublin system) . Migrants therefore ask for asylum and remain in the Southern European Countries they reach by boat, even though they often intend to reach places where they have better employment opportunities and/or can connect with family or acquaintances. There are no official statistics, but it is not difficult to imagine that Southern European countries are often unable or unwilling to register all the migrants that arrive ashore. Not taking fingerprints of the people arriving in dinghies, Southern Europe authorities can illegally allow migrants to move to Central and Northern Europe and be registered there. Thereon, European guidelines became stricter in matter of migrant registration, encouraging Member States to take migrants’ fingerprints “even with the use of force, if necessary.” Resistances to accommodate refugees are exemplified by the recent forced evacuation of migrants in France, which involved the deployment of the army . Free circulation between European countries, sanctioned by the Schengen agreement, is often sacrificed to protect countries from migrations. The European Union decision of limiting rescue missions and the unwillingness of Member States to accommodate asylum seekers reflect some predominant anti-migration discourses. This attitude mirrors broader narratives on migrations, multiculturalism and religion; it is often based on racist feelings that inspire xenophobic parties such as UKIP in the UK, Front National in France or Lega Nord in Italy. Migrations are forcing Europe to rethink its identity and ask itself if it is possible not only to save people but also to accept them with their different cultures and religions. European national media, such as television and newspapers, often perpetuate these discourses by presenting migrants as problematic and stressing the alleged incompatibility of their values with European ones. Christianity is employed to justify rejection of migrants, creating discourses of “otherness”. This is exemplified by the media attention to the news of Muslim migrants throwing Christians overboard because they where not praying to Allah. Obviously, not all migrants are Muslim or actively practicing Islam; however, describing migrants as Muslim allows a powerful stereotype –the idea that Islam is incompatible with Europe—to justify a general fear of the otherness represented by migrants. The Polish government, in refusing migrants quota, stated that refugees from Syria would only be accommodated if they are Christians; in doing so, Poland clearly showed an anti-Muslim attitude in relation to migration debates. However, Christianity is not only used to instigate anti-Muslim feelings, but also as bearer of a moral imperative to help others. Worldwide media attention to Pope Francis’ words in the little Italian island of Lampedusa is an example of how Christian feelings influence migration debates. Being situated only 70 miles from Tunisia, Lampedusa represents an entry point for migrants that try to reach Europe by dinghy. 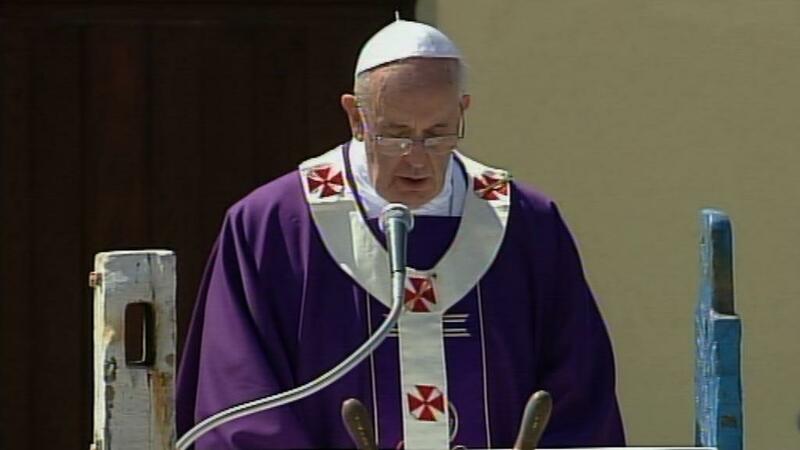 Pope Francis urged people to accept migrants and show solidarity, without being caught in today’s “globalization of indifference.” He put emphasis on the need of solidarity in the Christian world and addressed the “Dear Muslim immigrants” (“cari immigrati musulmani”) in Lampedusa; in doing so, he associated the fact of being Muslim with being a migrant. Christian associations, such as the Italian Caritas, are among the few organizations that take care of migrants who survived the crossing. Regardless of their religion, migrants often have to rely on Christian charity for all these basic needs that governmental institutions do not provide for. Therefore, it seems that media use two powerful narratives to describe migrants: on the one hand, they are criminalized as bearing a religion and a set of values not compatible with Europe; on the other hand, they are seen as victims in need of Christian help. I believe neither of these narratives do justice to migrants and their stories. Migrants do not cross the Mediterranean and reach Europe with the aim of proselytizing Islam or challenging European culture; neither are they slaves taken by force, but people who have invested a considerable amount of money to find a job in Europe and give their families better opportunities. Writer Aldo Busi, saying that Mediterranean fishes are nourished by migrants’ corpses, puts the accent on the tragedy of death. However, I believe that the role of the media in this situation is to put emphasis on people’s lives, telling their stories, their aspirations and the reasons behind their choice of going to the sea to reach Europe. Stories such as the one Lampedusa refugee Hakim Bello wrote for The Guardian. If migrants can tell their experiences they cease representing mere numbers on a map and start being men, women and children. Mainstream media often do not tell stories from this perspective, but migrants can find a voice in alternative media spaces such as documentaries or blogs. Limited access to media makes it difficult for migrants to publicly express their feelings and tell their stories; usually, media projects on migrations are lead by Europeans that report the experiences they are told. However, there are many examples of media productions that capture the humanity behind the numbers on migration. 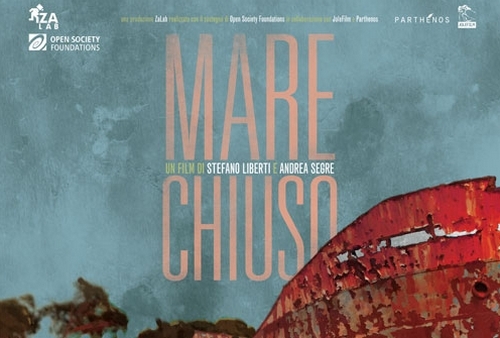 “Mare Chiuso” (“Closed Sea”) is an Italian documentary by Stefano Liberti and Andrea Segre, which focuses on “push back operations” against migrants. Together with criticism to the anti-immigration policies of the Italian government, the documentary interviews migrants about their experiences. The documentary is powerful not only in underlying that refusing to help migrants is a crime, but also in explaining how the “push back operations” forced families to live apart for years and exposed migrants to violence and humiliation. The movie “Io sto con la sposa” (“On the Bride’s Side”) describes a journey of Palestinians and Syrians that, disguised as a wedding convoy, challenge European anti-migration laws in order to reach Sweden. The Internet provides a space for diffusion of documentaries like “Closed Sea” and “On the Bride’s Side,” which have difficulty reaching mainstream channels. Furthermore, the digital is a space to report migrants’ stories and enhance discussion. For example, American journalist Trisha Thomas, in her personal blog “Mozzarella Mamma” often reports migration stories. The blog offers general comments on news and life in Italy, but Thomas covers also migrations in Italy and publishes detailed descriptions and pictures of what she experiences. Stories are not told from the migrants’ viewpoint, but Thomas often stresses the human side of the stories: “I repressed my emotions and tried to forget that this boy was younger than my own son, the same age as my daughter, and had just survived a horrific crossing of the Mediterranean”, she wrote in telling 17-years-old Baboucar’s story. The Italian blog Migrador Museum gives space to migrants to tell their experiences. The blog does not focus on recent dinghy migrations, but rather on people that have been part of Italian society for years. However, it is useful in challenging stereotypes on migration and gives voice to people that are often stigmatized by superficial media descriptions. 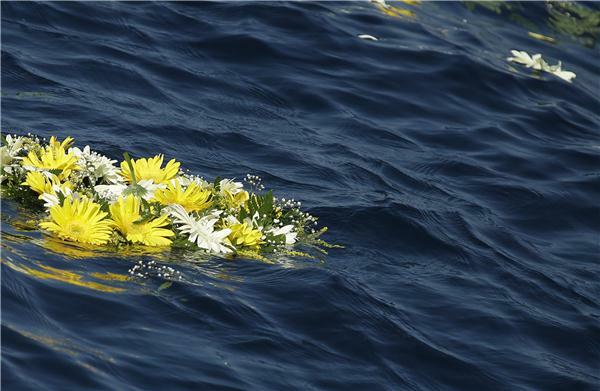 In reporting the tragedy of the death in the Mediterranean, it is easy to rely on numbers and dominant narratives. Anti-migration and pro-migrants discourses alike risk to dehumanize the people they talk about, limiting themselves to superficial data that easily fall into stereotypes. Religion, for example, can lead to a “cultural clash” rhetoric or a victimization attitude. As difficult as it is, giving narrative spaces to migrants is fundamental to change European public opinion and better understand human implications of economical and political decisions; “Mare Nostrum”’s discontinuation might have solved a budget problem, but what it destroyed were human lives, not statistical numbers. Migrants do not share the same nationality, language, religion and story; they have in common the fact that the Mediterranean—the “middle sea”— is the obstacle they have to cross from land to land. Media, and especially Internet, should assume the role of giving these people the opportunity to tell of their lives, providing a third narration possibility between criminalization and victimization discourses.